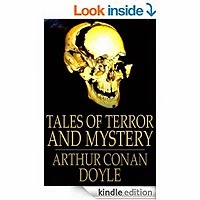 This book includes nine tales of terror and six tales of mystery. It was written in 1923, four years before the last of the Sherlock Holmes books. Sir Arthur Conan Doyle is obviously at his best at mystery rather than terror. Fortunately, the mystery stories tend to be the longer of the two. The tales of mystery really do remind one of Sherlock Holmes. In one, one character states that if you have exhausted all the possibilities except one, that last remaining must be the truth no matter how farfetched it appears. In all the tales, he sets up mysteries that are solved in the Holmes style.